Our production team is seeking filmmakers to document our May Day extravaganza, and we would love to have you join us! Please join us in celebrating whimsy, dance, and cake in the streets of downtown Seattle on May 1, 2008. The two-hour performance is unabashedly celebratory, evocative of the embarkation of a grand ocean liner of the early 20th century. 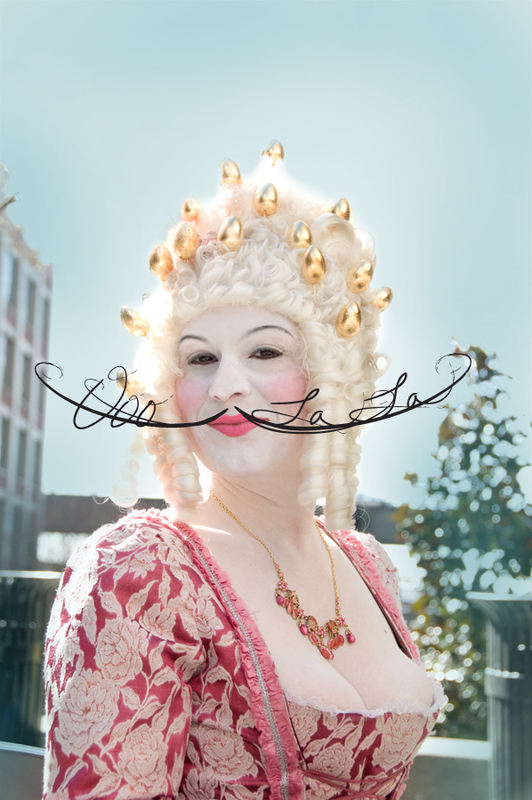 Ooo La La is a free interactive public performance spectacular! Perfumed by the decorative exoticism of art deco coupled with the surrealist tendencies of the Jazz Age, this May Day confection celebrates sweets, romantic love, and the act of wishing. Occidental Square: the dancers dance and throw a party dressed as bakers. The atmosphere is fun and festive. The bakers give away whole cakes to audience members. Pioneer Square to Harbor Steps: Led by marching bands of bakers, along with groups of giggling dancing cakes, dancers parade through the city along three different routes from Pioneer Square to the Harbor Steps. At stop lights, dances erupt on sidewalks, inviting pedestrians and cars into the merriment. Harbor Steps: As described in project description. Performance date: Thursday, May 1, 2008 (First Thursday); Occidental Square festivities kick off at 5 pm, Harbor Steps show begins at 6 pm. Ooo La La is envisioned and created by Lucia Neare, with theatrical direction by Cathy Madden, musical direction by Matt Goodrich. and technical direction by David Verkade. Ooo La La is supported by 4Culture and GGLO.